The Muppets will undoubtedly have their day on TV again, but it'll probably in a different format, and definitely on a different network. ABC has decided not to move forward with The Muppets for Season 2 and we will have to use our Muppet Babies-powered imaginations to see further adventures with Kermit the Frog & Co. until Disney figures out where their next home will be. 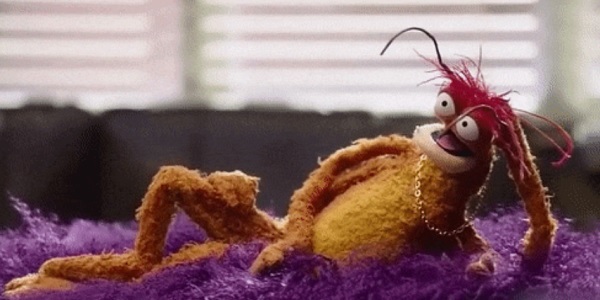 As a lifelong fan of Jim Henson’s colorful creations, I couldn’t have been happier when The Muppets premiered and threw a slightly more adult tone to the self-aware franchise. But not everyone was happy with it, and behind the scenes troubles led to co-creator Bob Kushell exiting the comedy before the midseason hiatus. This was supposed to usher in a huge retooling that would fix all the problems, with Galavant’s Kristin Newman stepping in as a showrunner. Only it didn’t fix anything, and the show’s ratings got progressively worse as Season 1 continued. It’s mildly surprising that it took this long for the cancellation, as reported by TVLine to get here. The show’s potential built-in audience were pretty vocal about their displeasures with the show as well, citing everything from a too-bitchy Miss Piggy to an indifference to the show-within-a-show format that other series like 30 Rock were more successful with. Though Season 1 started off with huge numbers with a premiere that reached over 9 million people, that audience was cut in half by the next episode, and the numbers just kept dropping after that, reaching a series-low 2.4 million viewers not far into the midseason return. The doubled-up finale was only watched by 2.7 million people. And the demo rating was similarly drooping in nature over the 16-episode run that ended in March. This definitely isn't the first Muppets TV show to get axed. In past years, we've said goodbye to The Muppet Show, The Jim Henson Hour, Muppets Tonight and the aforementioned Muppet Babies. This also wasn't the only show to get canned by ABC today. The Muppets shares that distinction with the likes of Castle, Nashville and more. But I think we can safely say that this was the only cancelled show that happened to have a king prawn as a main character. Can we get a spinoff? There is definitely room for more Muppets on our televisions and in our movie theaters. But it’s going to have to be in a format that has nothing to do with late night talk show TV, and possibly won’t have Miss Piggy and Josh Groban getting it on.